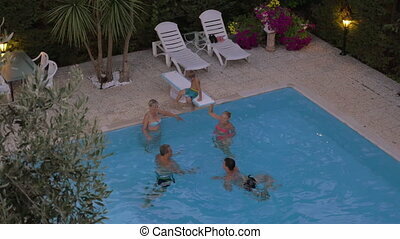 Family bathing in the swimming pool. 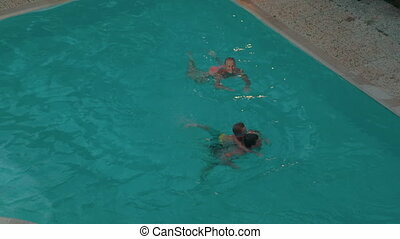 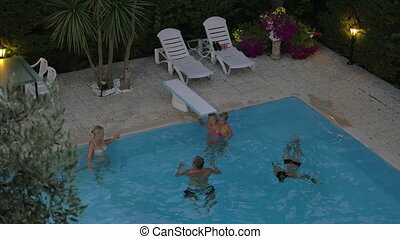 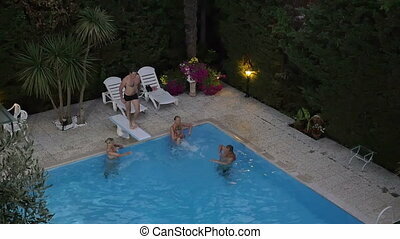 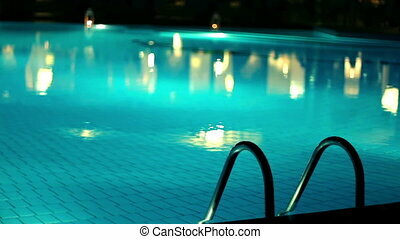 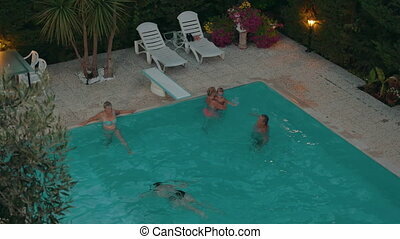 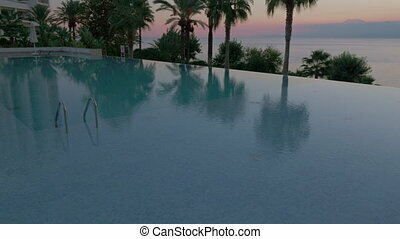 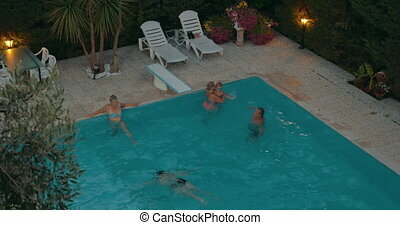 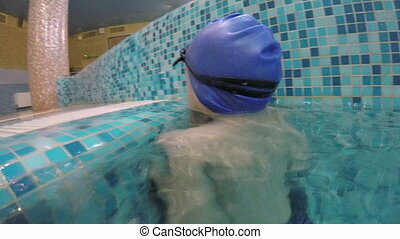 High angle shot of family bathing in outdoor pool in the evening. parents and grandpa swimming while grandma playing with child. 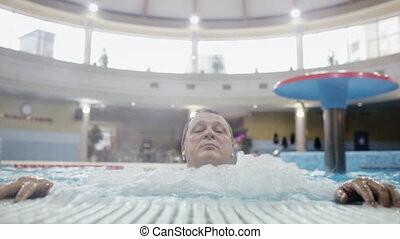 relaxing in water. 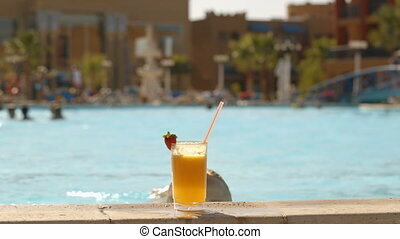 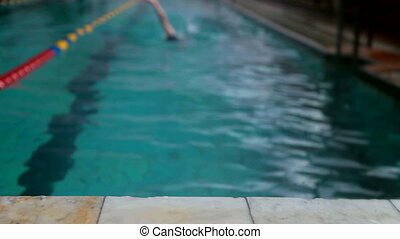 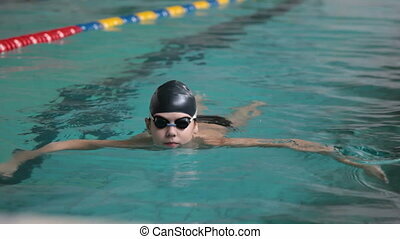 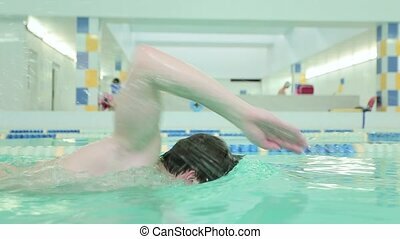 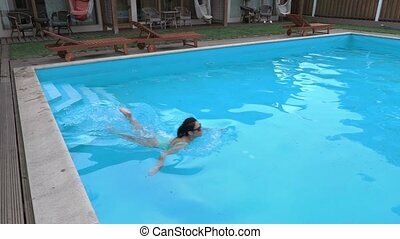 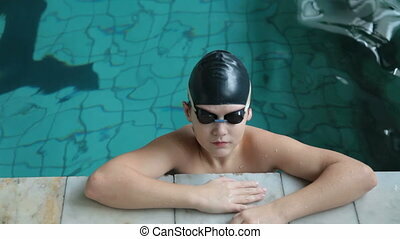 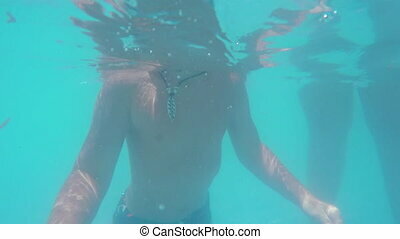 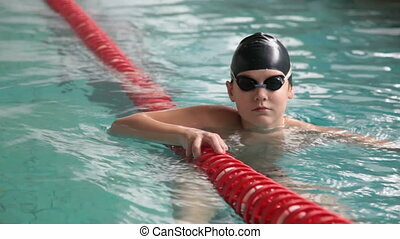 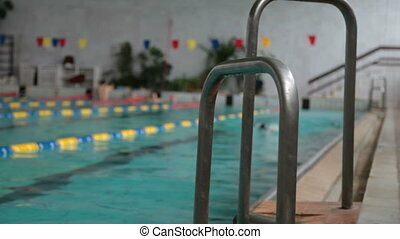 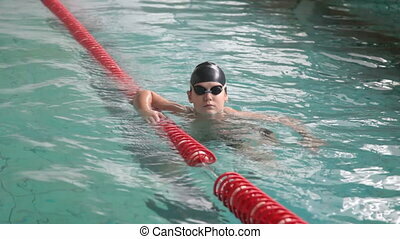 man swimming in the pool. 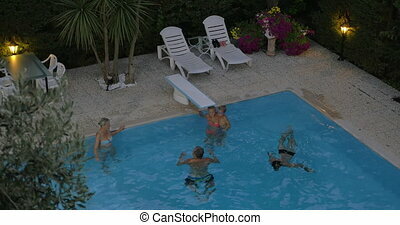 Slow motion shot of a big family members resting in the swimming pool and waving hands. 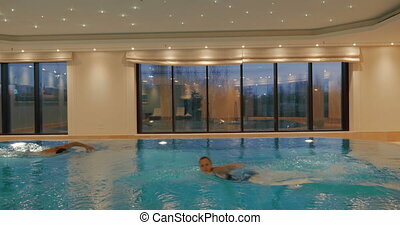 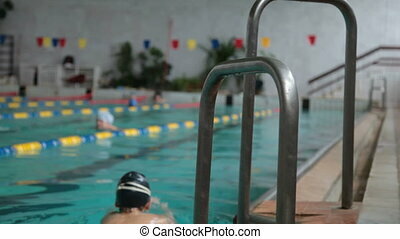 Man and woman are swimming in the indoor swimming pool towards each other. 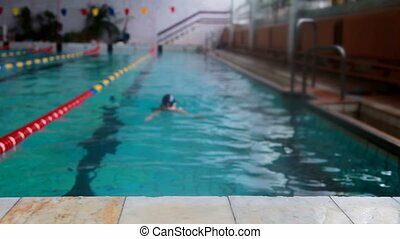 Mother and her little son playing in rough water of the swimming pool. 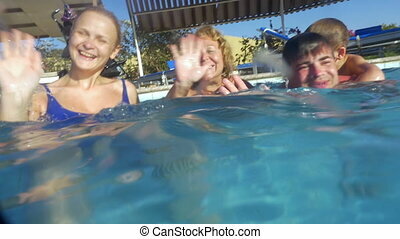 Family fun in waterpark. 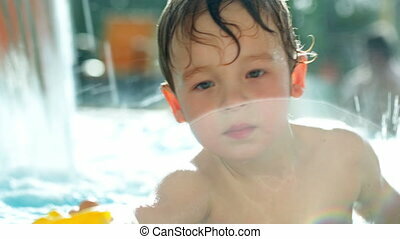 Mother and her little son playing in boiling water of the swimming pool. 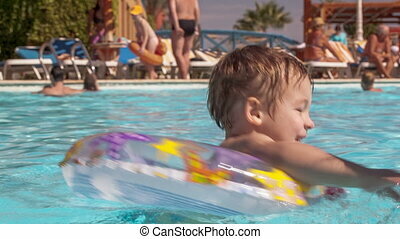 Family fun in waterpark. 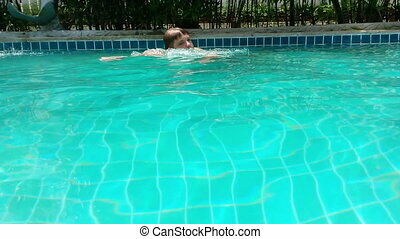 Mother and her little son with floating ring swimming in rough water of the pool. 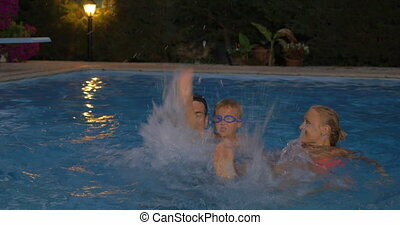 Family fun in waterpark.